the first part of this post is all about blatant self promotion. comes out Friday. I am SUPER excited! tell them to buy the book! The Bloggers Are Back Under My Tree! to fill the void under the Christmas tree. some of the etsy shops were "closed" until January. sorry for that visual...try to erase it from your memory. 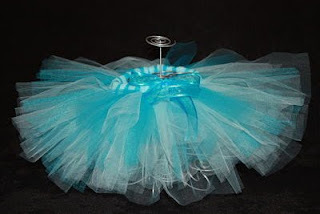 cute tutu in Blue Raspberry from tutu bug. Purple Pizazz is next on the list. Check out tutu bug's blog for more photos and colors! some fun tassels from Bees and Fleur de lis. but I just had to have some! Check them out they are beautiful and elegant! Be sure to stop by Jo's blog too! who has everything...my Mother in Law. and he is always right, but, this year, it is my turn. I was scared...but then I found Muse Silk Paintings. At her etsy store, she has AMAZING hand painted silk scarves. I had a couple of great suggestions for more handmade goods. but do go check them out. from Christmas shopping and will be raring to go! downstairs Designs and their tres chic clutches and other goodies too. Sophie and Lili (handmade with love)...has super cute dolls! Her etsy shop is restocking but you can find her HERE! Check out The Cute Little Shop on the Corner! Jenn has a seriously adorable selection of cupcake cuties! Etsy! I didn't even think of that! Looks like you got some really cute things! Love the tutus! And the scarf! 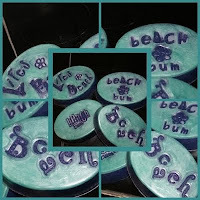 And the soaps! I'm clearly going to have to spend more time checking out the shops. And last, but most definitely not least, congratulations on your newest book!!! CONGRATULATIONS on your new book, Holly!!!! How very exciting for you. I'd be honored to put the Amazon widget in my sidebar. Just say the word. Too bad I'm not getting married again, but I will keep and eye and ear out for anyone who is and will suggest your book and blog for sure. That scarf is the best! Looking forward to your book. My sister just announced her engagement a week ago. Perfect for her as she plans her wedding! Those tutu's are darling! And I agree with you: every girl needs to have one. Congratulations on the book! I know two women who just got engaged. I will send them over right away! You did find some really great finds even if some of the shops were closed already! Hey! I think you have a picture of my soaps under your tree...Hum? I think I need to talk to Lee about this. I thought mine were specially designed for my mom's guest bathroom. P.S. Congrats on the book coming out! How very exciting for you! Wonderful blog, and congrats on your new book - amazing! Holly dear, you deserve to toot your own horn!!!! How exciting that your NEW book is coming out, just in time for all those holiday engagements! What a great idea using Etsy and blogger friends to buy Christmas from. The tutus are spectacular and a great selection. The handpainted silk scarf and also the dolls in the last photo are wonderful. Ha, I forgot to give you a shout out for your new book. The tutus are so cute! Congrats on the book!! 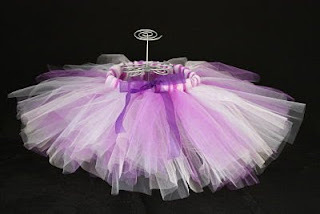 Love the tutu ...your little one is going to love wearing it!! That's awesome about your book! So happy for you :). Also, a HUGE thank you for posting about my tutu's on your site! Next year, I'm going to have about 5 new and super cute offerings! Be sure to let me know when you receive your Blue Raspberry tutu. Hopefully you got it today! Very exciting about the book! I hope it is a best seller! I love what I ordered from etsy...and I plan to do more in the future. CONGRATULATIONS on the book!!!! It kind of makes me want to jump up and down and squeal like a teenage girl with you...but you probably already went through that, huh? LOL! Congrats on the book. Is this your second wedding book? I bought an "Everything" book before my husband and I were married. That was about 13 years ago. I like the scarf the best. I also like the little dolls at the end. They might be great for stocking stuffers. Congrats on your new book! How exciting:) I wish you great success! I am such a sucker when it comes to tutus and my little girl. Thanks for all of the recommendations! Congrats on the book, we could've used it this summer when my brother Adam got married; oh well, I still have one single brother! And the gifts are beautiful, I think it's great that you are supporting bloggers/artists. Huge congrats on the book coming out, that is awesome! Congrats on the book! I hope you sell a bajillion of them!